(RBC), who conducted the study, are calling for an Honest Crust Act to tighten regulations and improve transparency for labelling and marketing of British loaves. 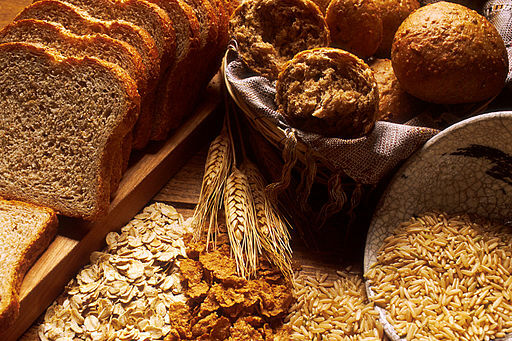 RBC’s report, titled A Wholegrain of truth?, claims that bread with the words wholegrain or wholemeal on the label can contain as little as 6%, or as in one case no, unrefined flour at all. The report states examples, all of them sold in major UK supermarket chains. The RBC states they are concerned that people are “being influenced” to buy a loaf they think offer “greater health or nutritional benefits than it does”. The Bread and Flour Regulations 1998 require that for a loaf to be labelled, named or marketed as wholemeal all the flour must be wholemeal. According to the report, this is not always the case. Other terms such as wholegrain are not regulated and the RBC claims the word has become “meaningless due to misuse”. They want to see it regulated too, like in the US where a loaf labelled wholegrain must contain at least 51% wholemeal flour. The RBC also calls for legal definitions for bread related terms such as sourdough, artisan, multigrain and wholesome. Alex Waugh, Director of National Association of British and Irish Millers says most bakers follow the Institute of Grocery Distribution’s guidelines, which states that one serving of bread labelled wholegrain should contain 8 grammes (20-25%) wholemeal flour. Waugh says: “Most of the time with additives, people have an objection on principle rather than with what it actually is. There is nothing misleading about wheat gluten or wheat protein.” British wheat contains naturally low gluten compared to wheat from other countries and this, says Waugh, is made up by adding extra wheat gluten to get the bread to rise. New EU regulations are being introduced next year and Blades says she thinks the issue will “all be addressed then”. The RBC says the EU Food Information for Consumers Regulations are an “opportunity” for the government to make changes to help the public “make more informed choices”. Wrapped-sliced and supermarket in-store loaves account for around 95-97% of all loaves bought in the UK. Most of the bread that is made is made with white flour. White flour accounts for around 80% of sales.